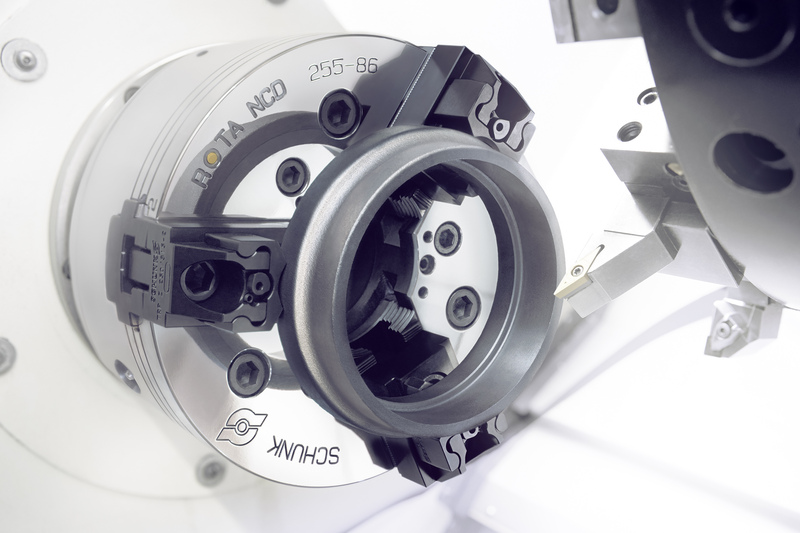 The quick jaw change system SCHUNK PRONTO is a real set-up time killer for conventional lathe chucks with screw connected chuck jaws. It lowers set-up time of a complete jaw set to 30 seconds, which is about 95% faster than conventional solutions. After the successful premiere, SCHUNK, the competence leader for clamping technology and gripping systems presents a complete system program now, which optimizes the set-up process from the storage of the quick-change set to the jaw change on the machine.